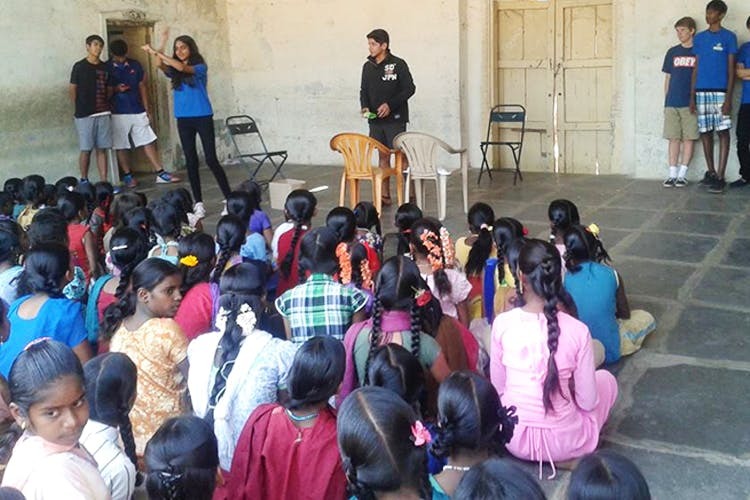 The Kishkinda Trust is an NGO, which strives towards supporting the history of Hampi and livelihood of local communities through a series of activities and volunteering opportunities. That means you can now travel for a cause! With a strong focus on conservation, The Kishkinda Trust, revives traditions through landscape, design, crafts, cuisine and ecology, while assisting local businesses to flourish by equipping them with modern essentials to boost their economy. Running a series of parallel projects, the trust welcomes enthusiastic volunteers from all educational backgrounds, and helps them volunteer in fields as diverse as architectural restoration, teaching English, effective sanitation planning, organic farming, marketing and more. For a subsidised monthly fee, your accommodation and daily meals will be taken care off and you will be assigned projects according to your interests. A beautiful earthy space, it includes guest houses and conducts many heritage walks and cultural talks happening that you could attend in your spare time. Located in the centre of Anegundi, a historical architectural landmark dotted with pillars and ruins that have survived various dynasties. The landscape is peppered with UNESCO certified ruins, amidst stone hills, lush paddy fields and circular coracle boats floating on the Tungabhadra river. Saving many dilapidated houses from ruin, the Kishkinda Trust along with the support of the government and tourism board, has managed to create tourism facilities while maintaining an authentic rural ambience, and preserving the rich tradition. A section of the Trust is dedicated to empowering the local livelihood of women with use of the local banana fibre. With specially dedicated units, the fibre is weaved into products from bags, sandals and household items. Volunteers are welcome to design products that use other natural products as well such as hyacinth grass, cotton and more.